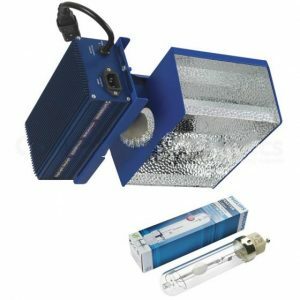 The new Parlux range offers growers great quality and affordability when it comes to lighting options. 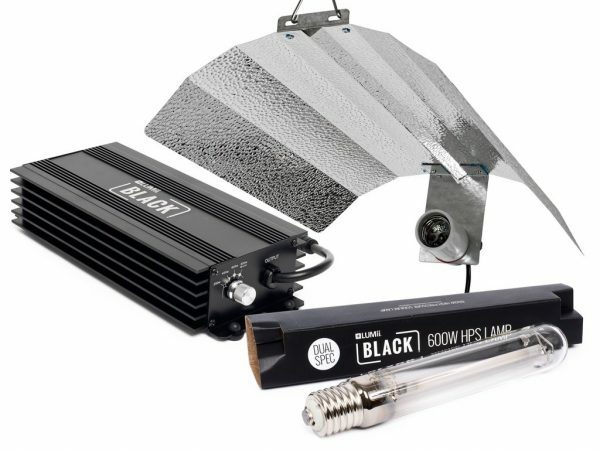 And this electronic dimmable Light Kit sits near the top of the Lumii Black range and is now the most popular light kit in both of our retail stores, our customers love the versatility of the kit and what you actually get for your money. 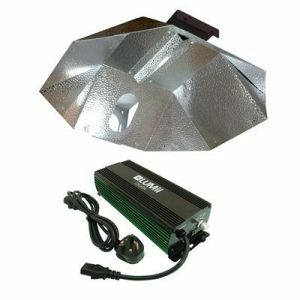 The 600W electronic dimmable ballast powers from 250w to a super-bright 600w BOOST (660w) and as it’s electronic the consumption costs of running it are lower in comparison to the traditional magnetic Ballasts. 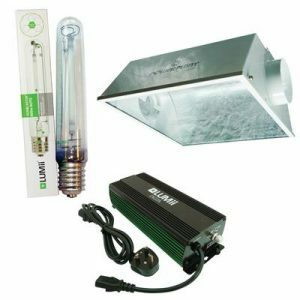 There’s a basic 600w HPS dual spectrum bulb included and a Dutch Hammertone Reflector with a built in ceramic lamp housing, hanging supports are included. 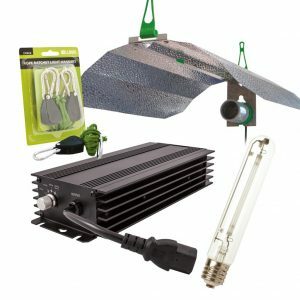 Affordable, making them a great choice for those on a budget or growers with loads of lights.